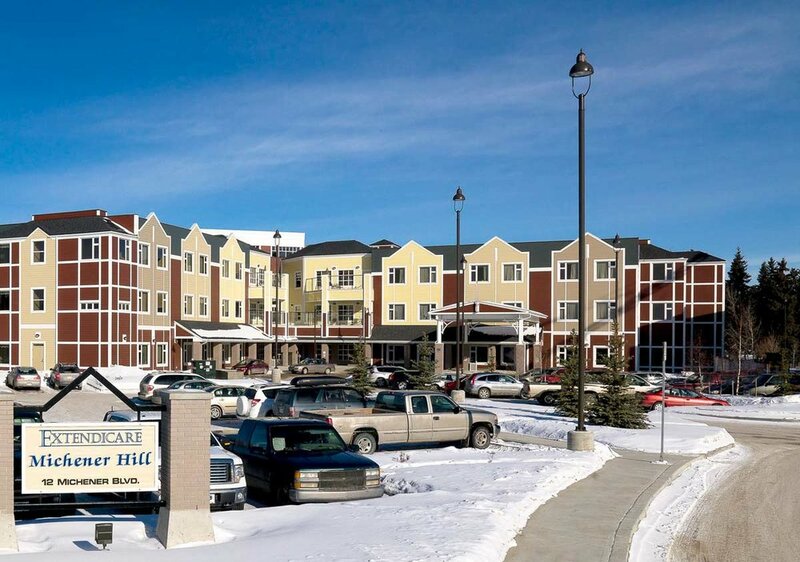 Michener Continuing Care Centre, Red Deer — HFKS Architects Inc. The Michener Continuing Care Centre is a major project, with new construction including 280 total beds and a four-storey central atrium. Each 12-bed wing includes a lounge, kitchen and dining area, and every neighborhood of 24 beds shares tub, laundry and utility rooms. The Michener project has been recognized as EXTENDICARE’s largest continuing care centre, while also proving to be a welcome addition to its surrounding community.